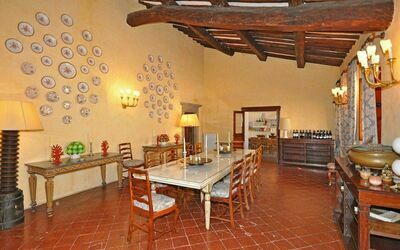 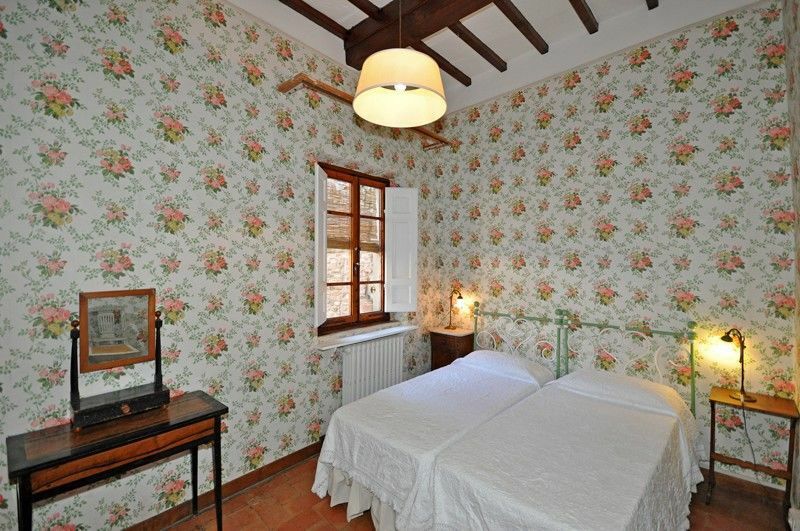 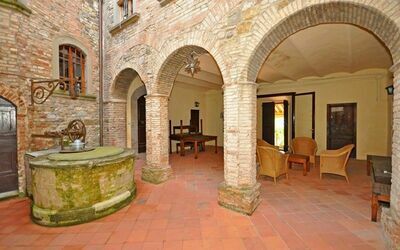 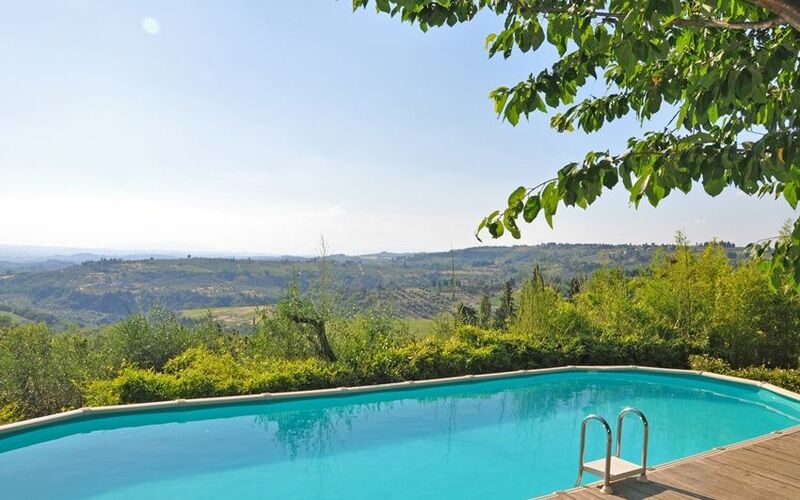 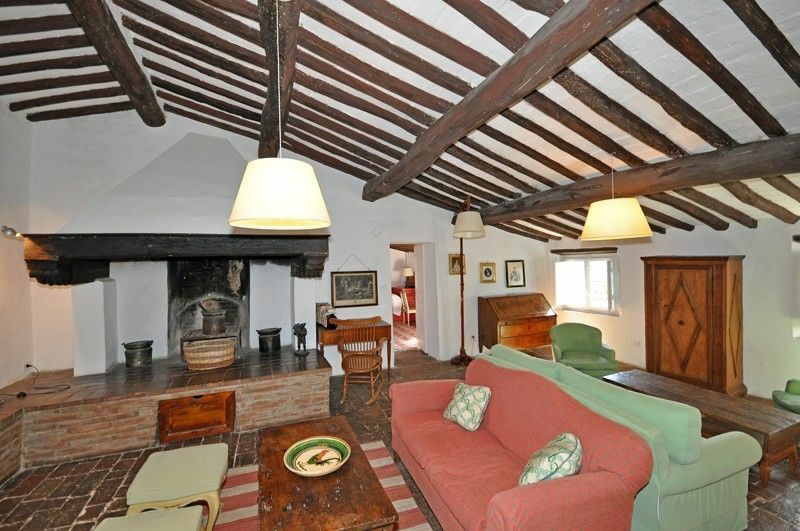 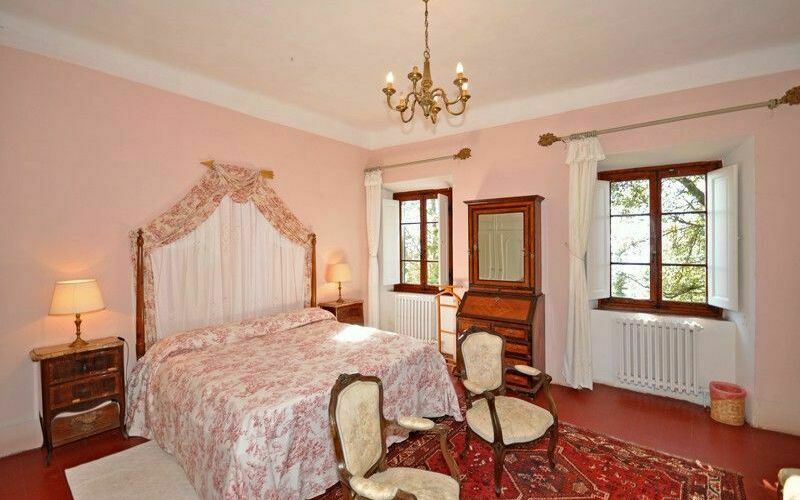 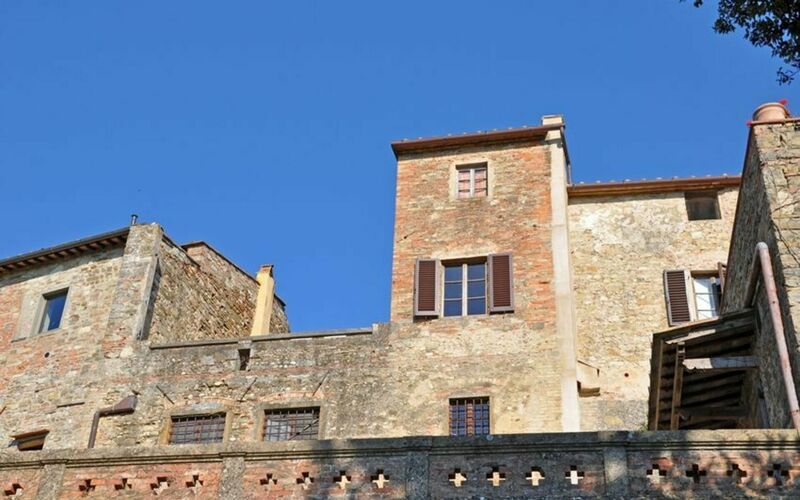 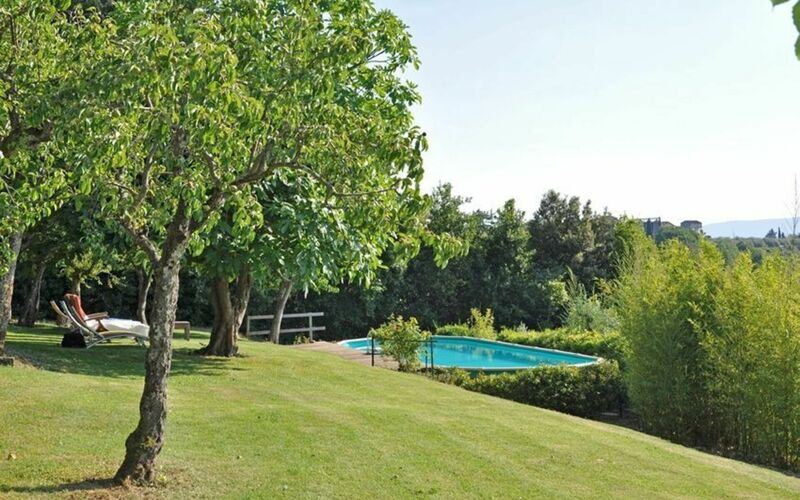 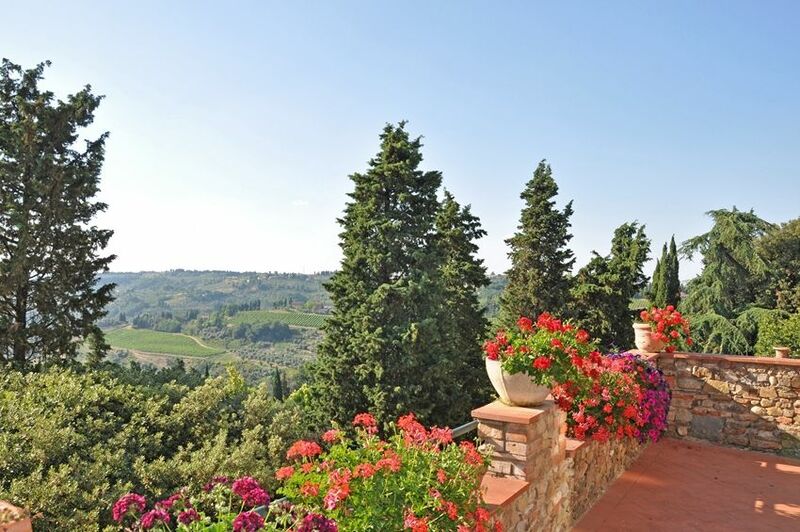 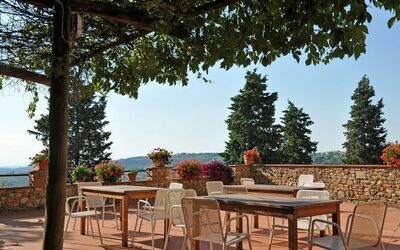 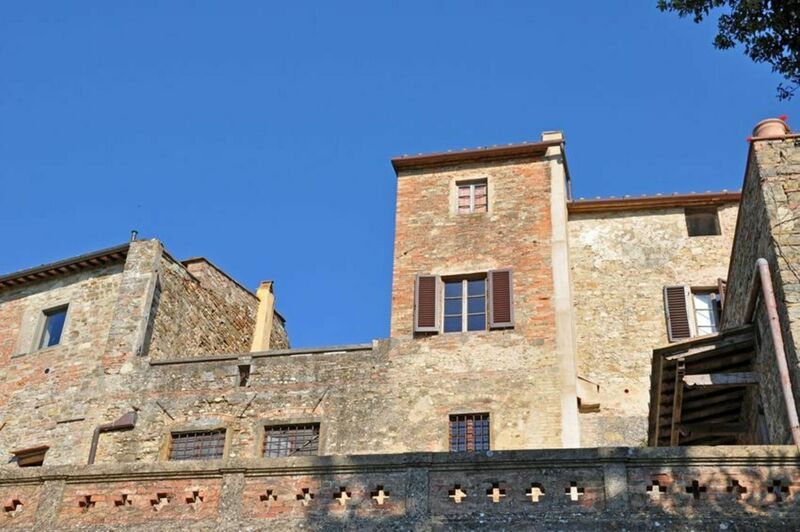 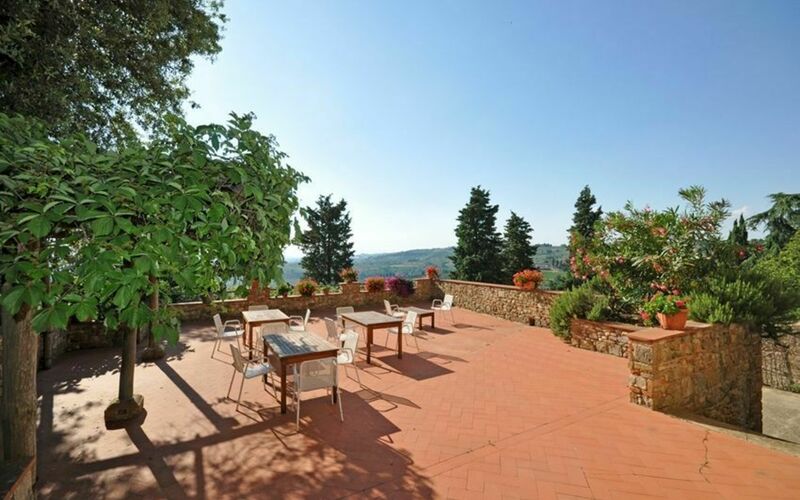 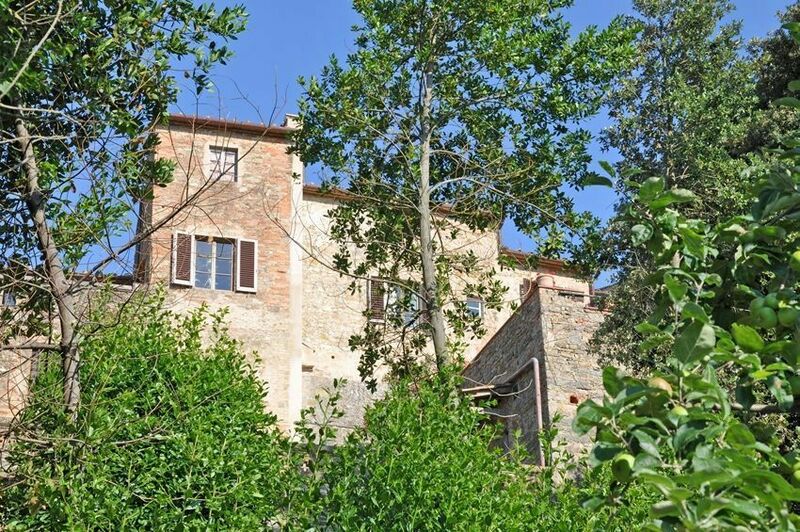 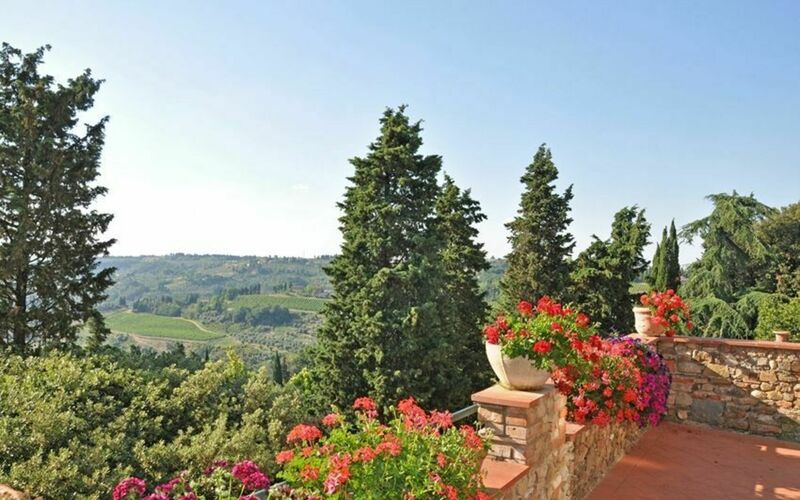 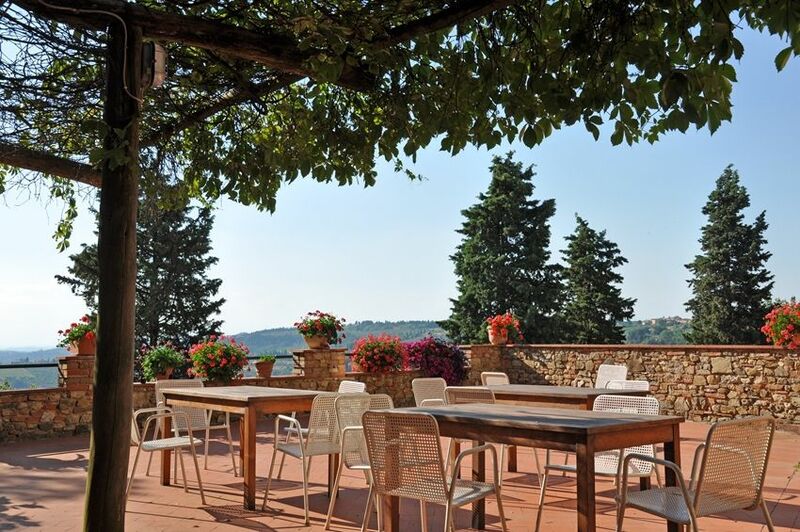 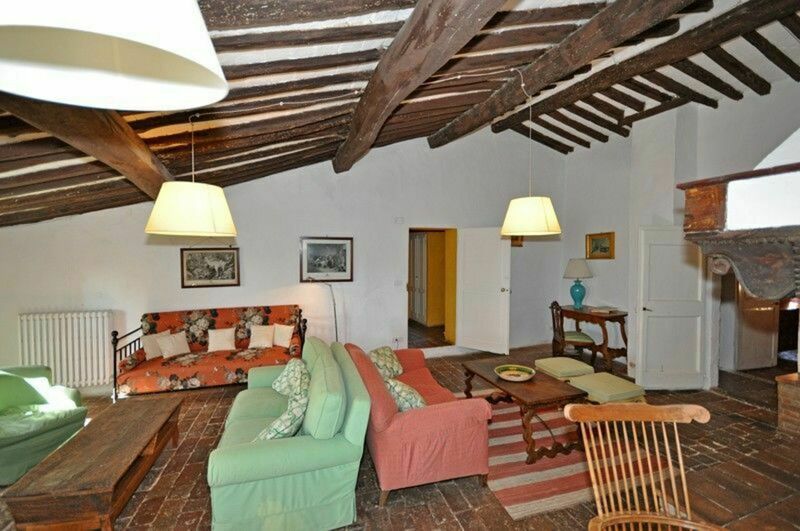 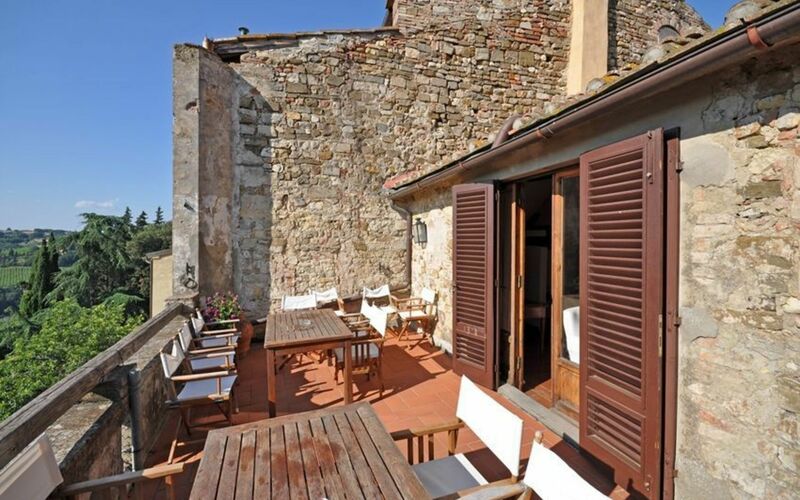 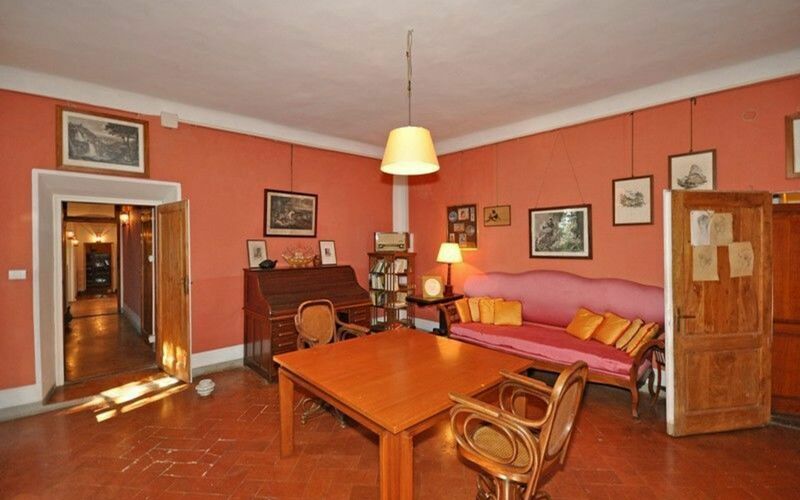 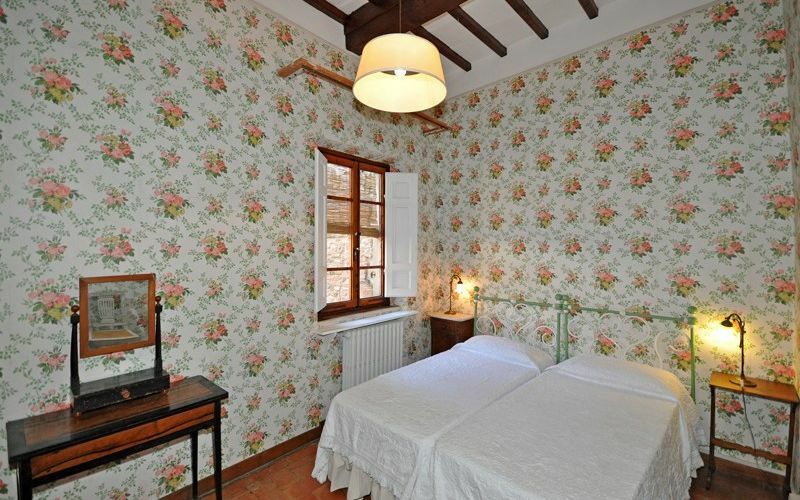 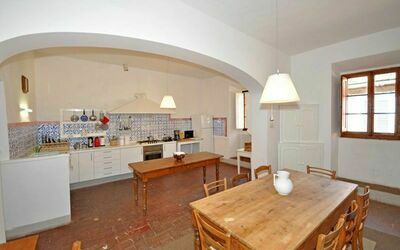 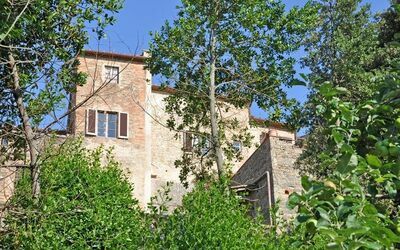 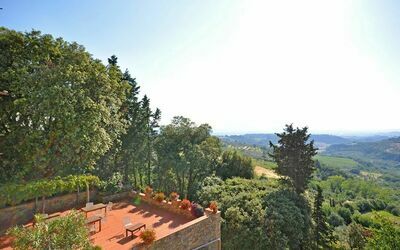 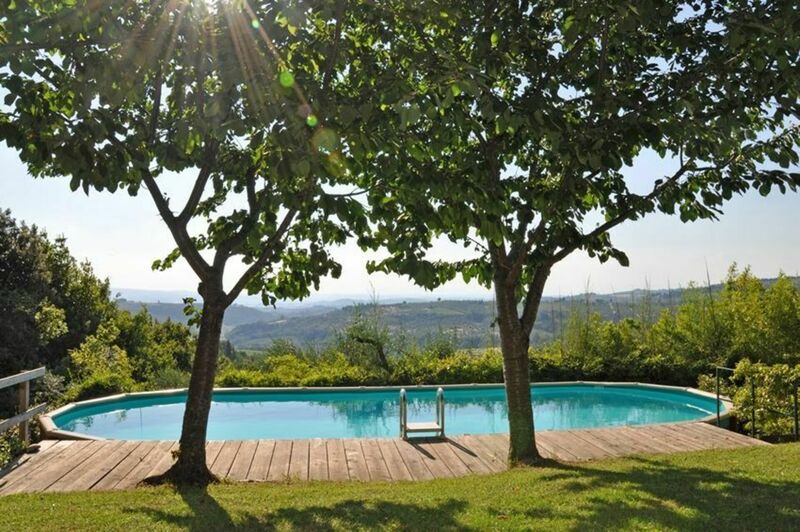 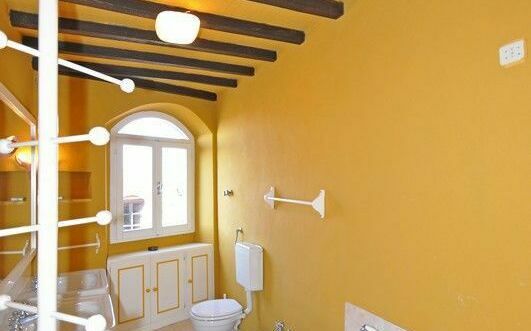 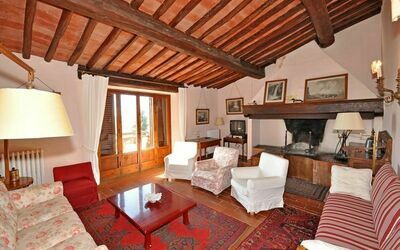 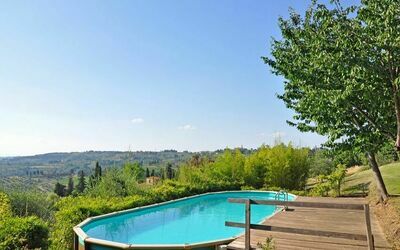 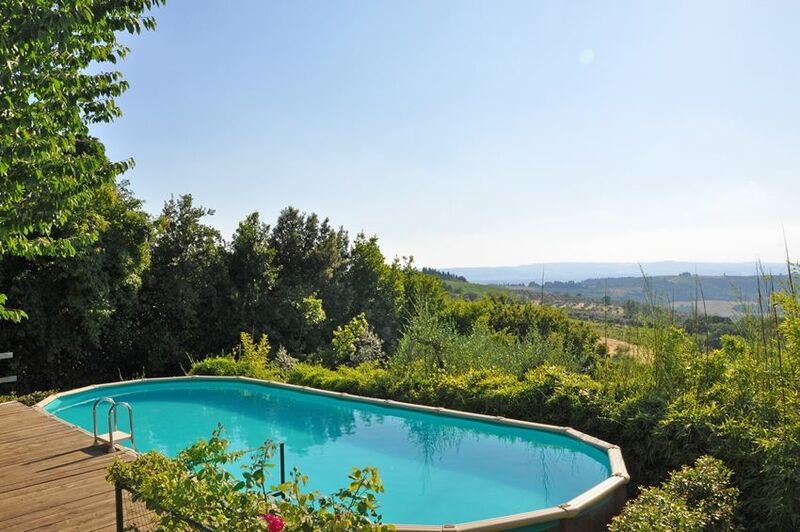 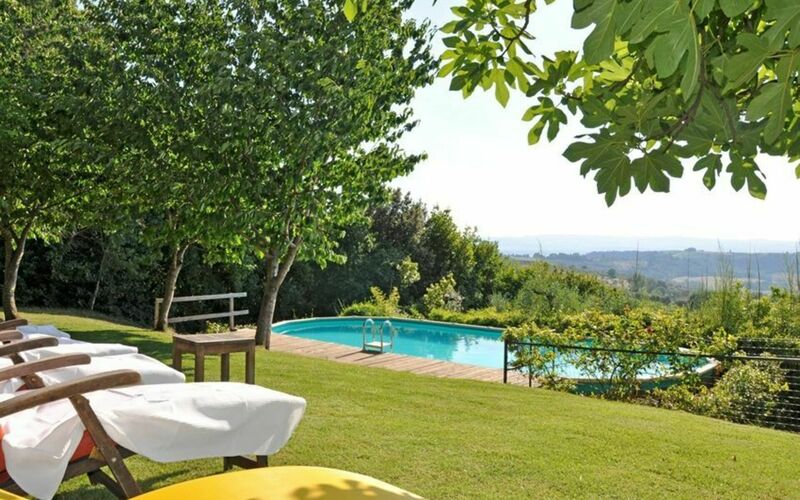 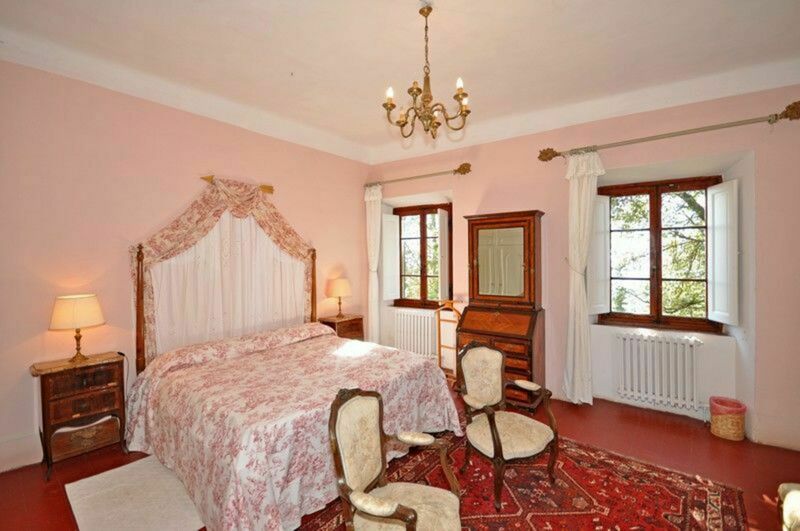 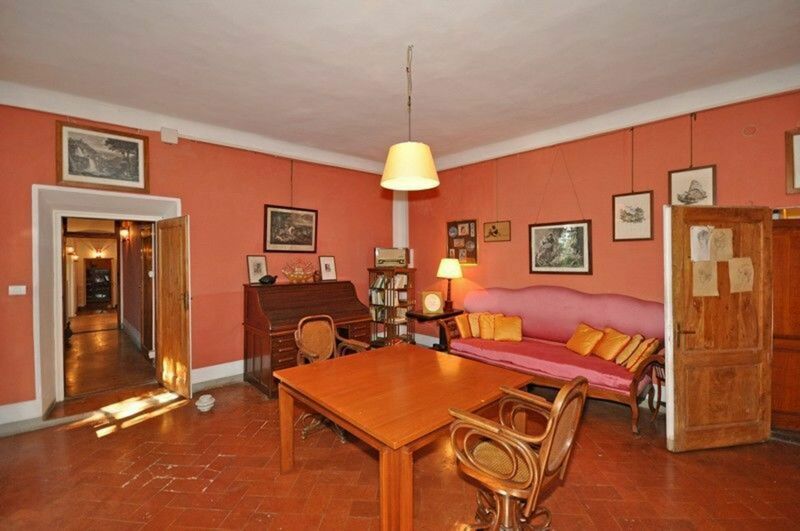 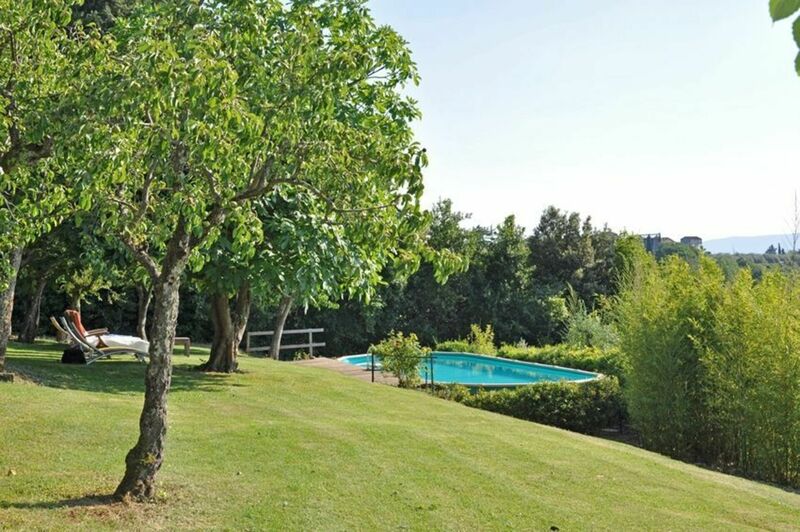 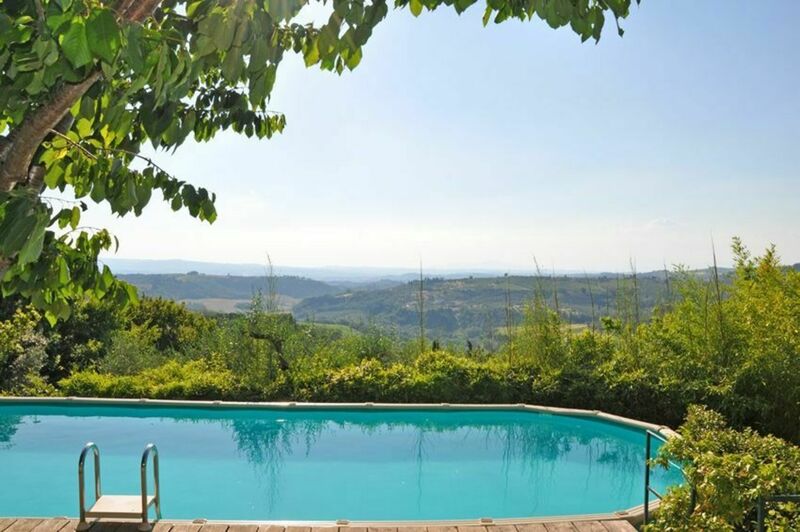 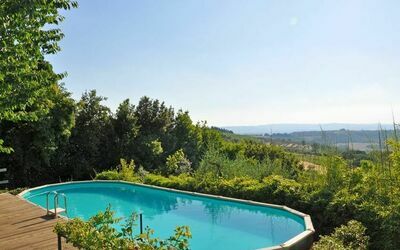 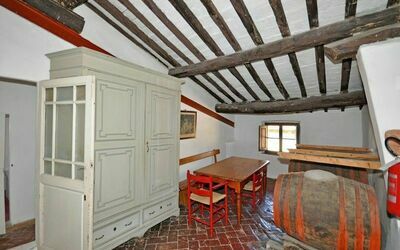 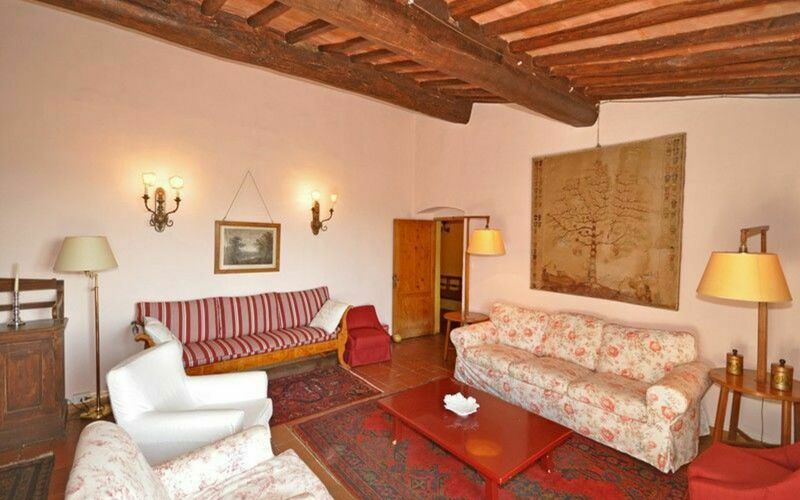 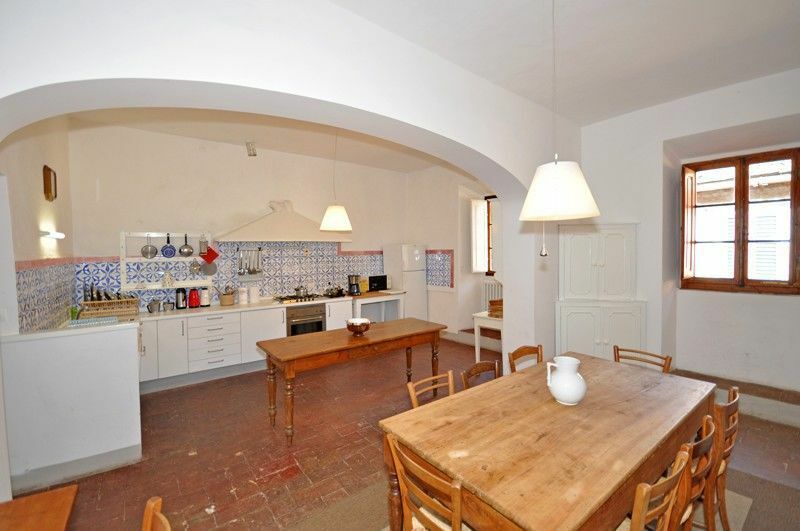 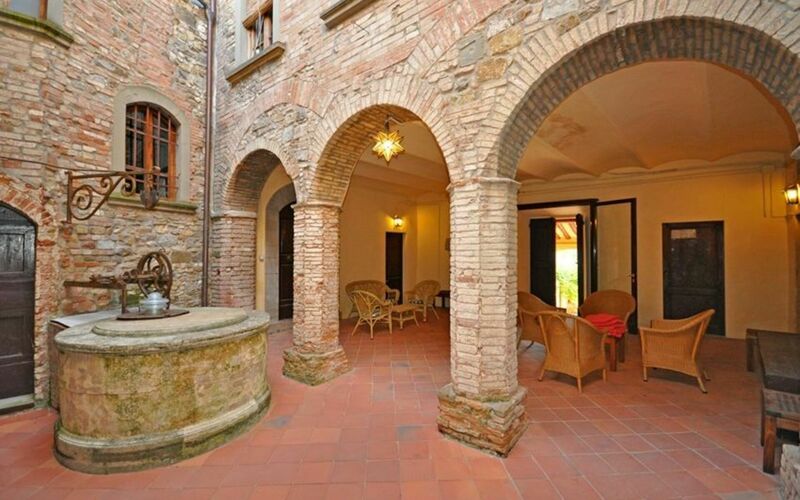 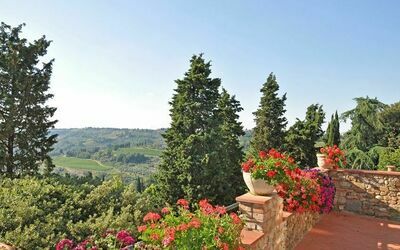 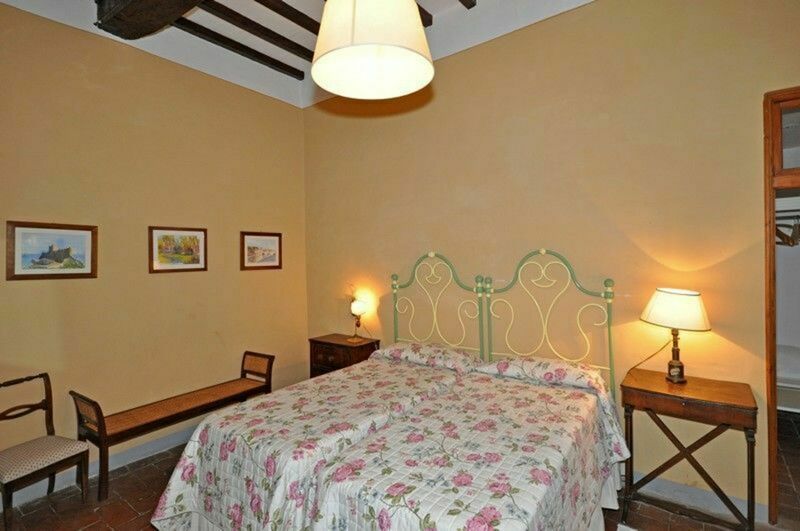 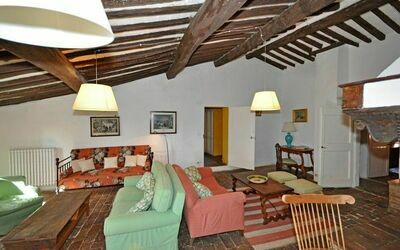 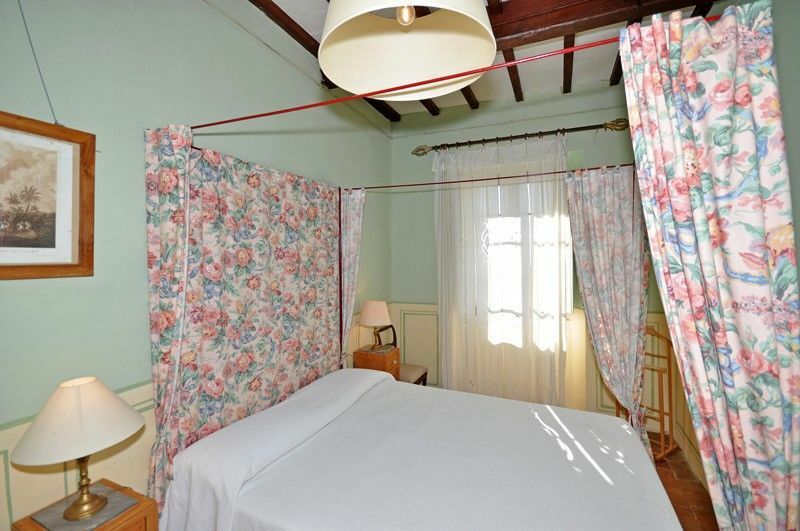 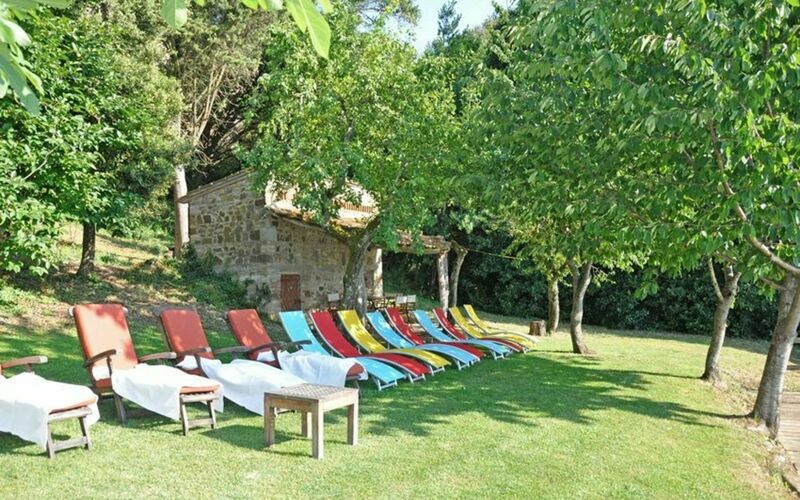 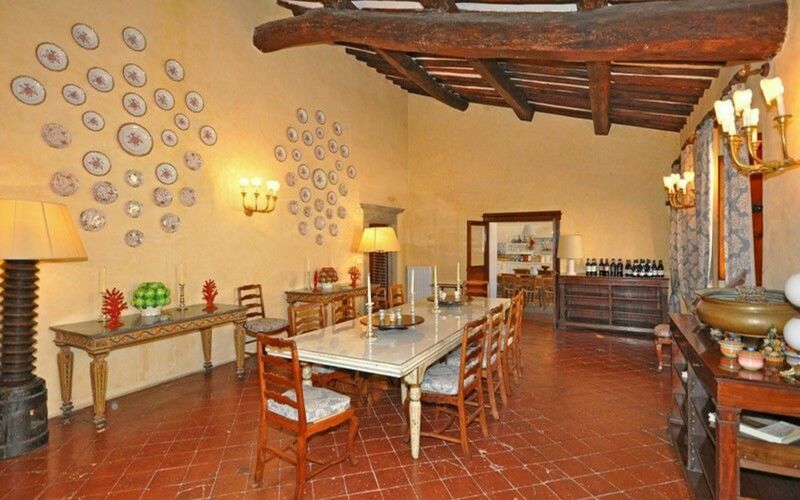 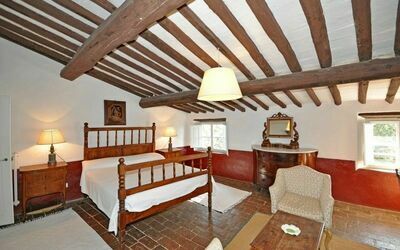 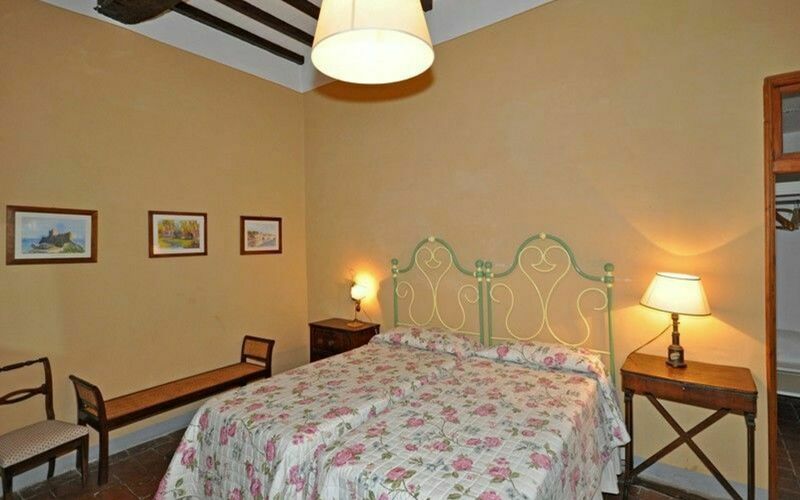 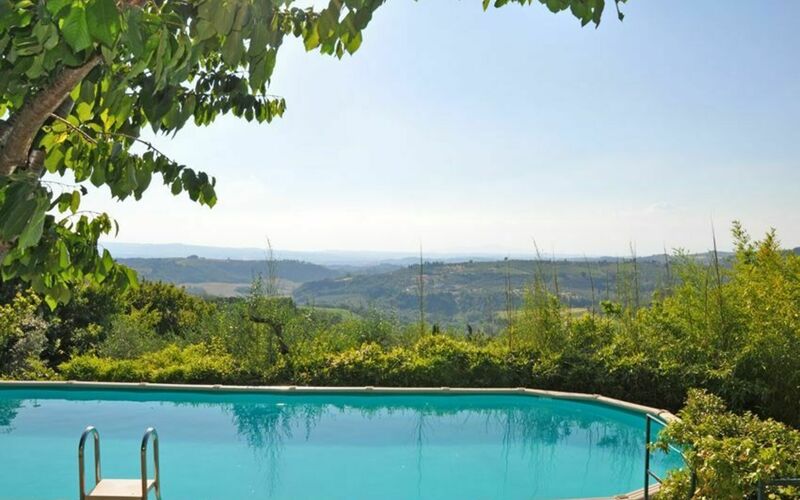 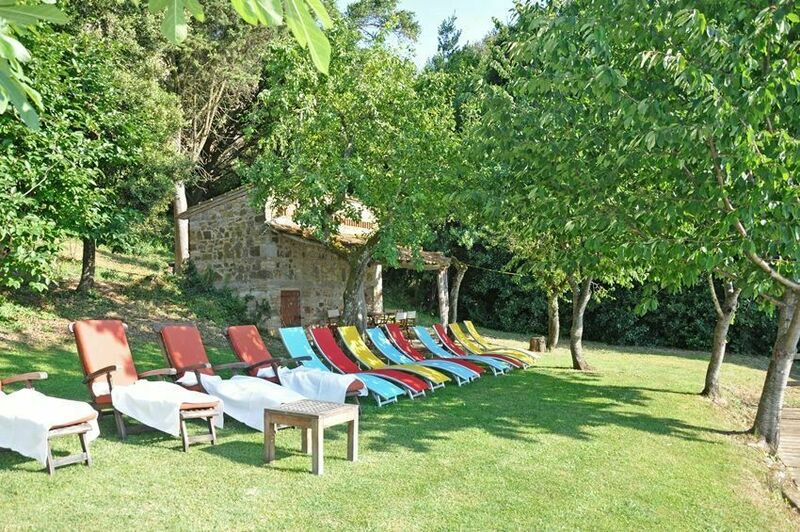 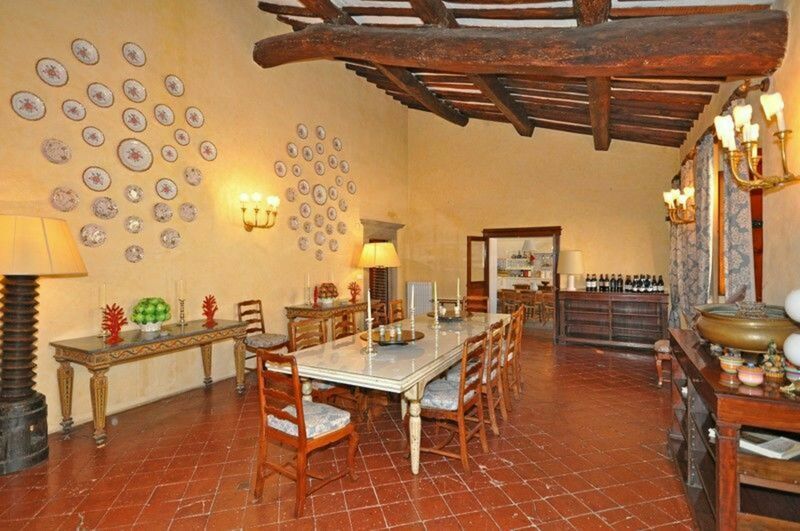 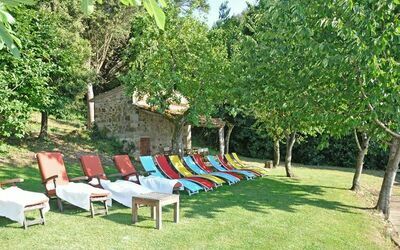 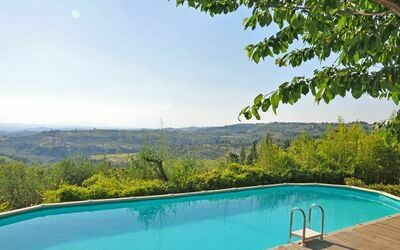 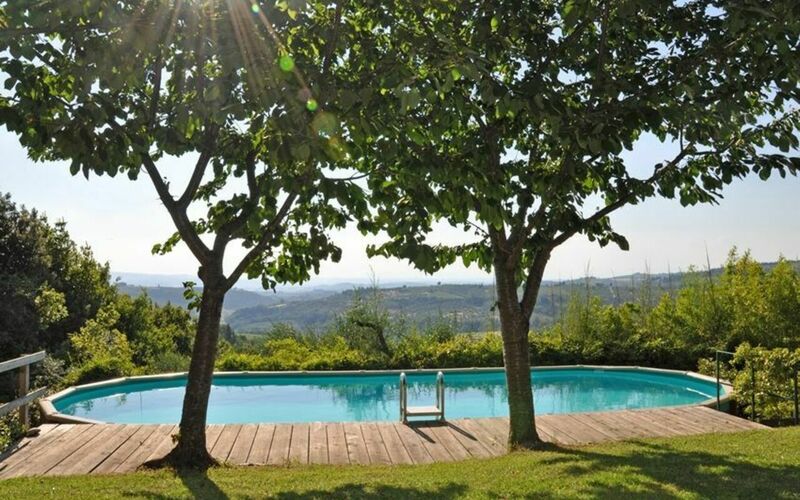 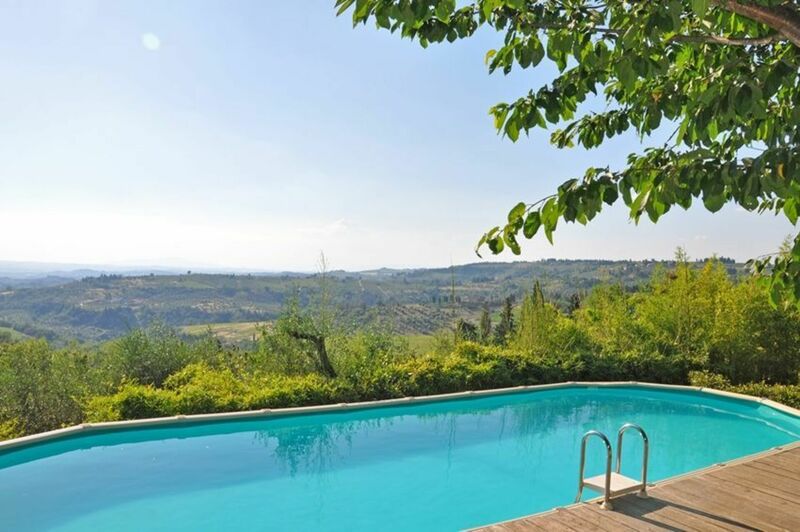 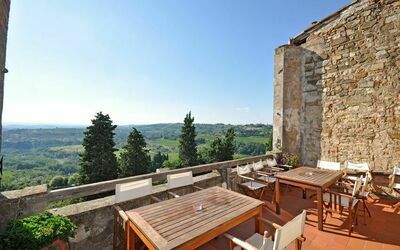 Large villa with private pool situated in the center of the small, charming town of Barberino Val D’Elsa, halfway between Florence and Siena. 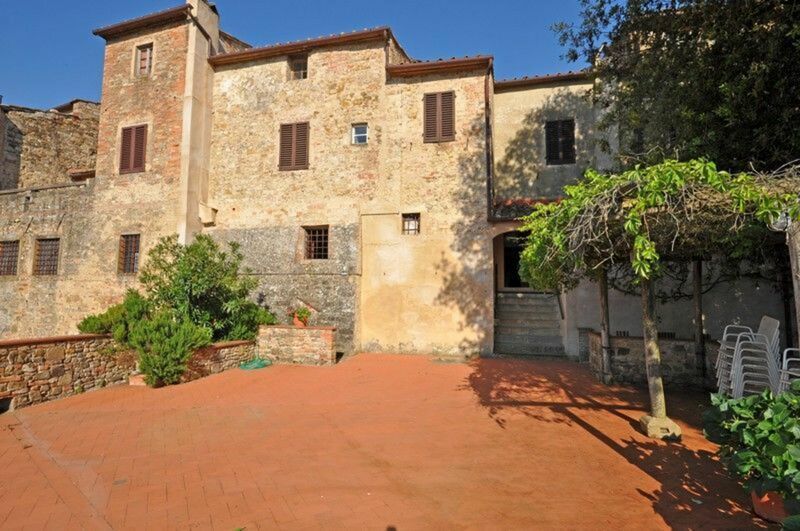 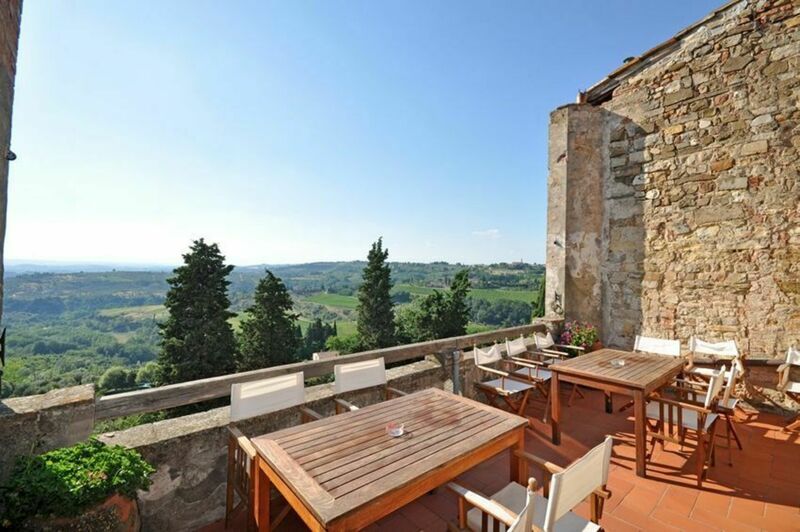 This 3-floor villa, offers splendid views over the surrounding, Tuscan landscape and is in walking distance to shops, bars and restaurants. 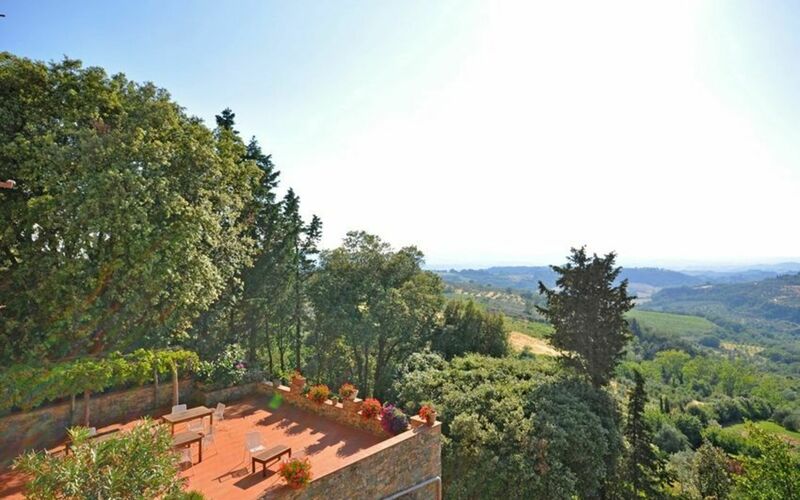 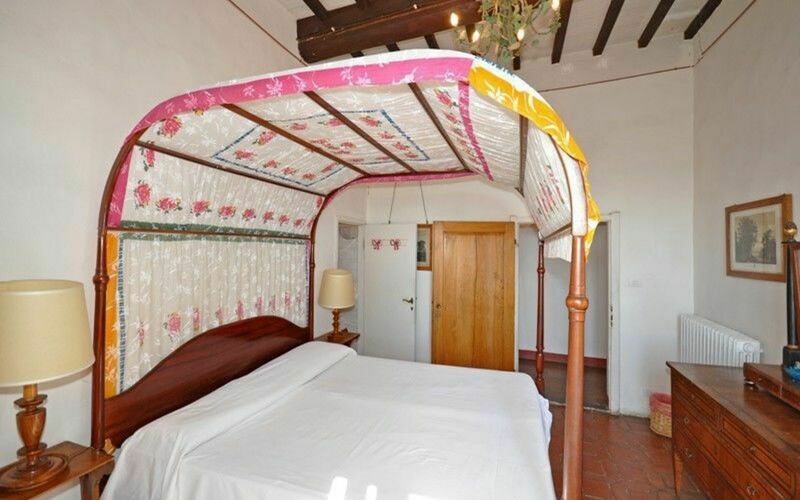 The villa is accessible from the center of Barberino as well as via a private road running along the town limit and leading to the villa garden. 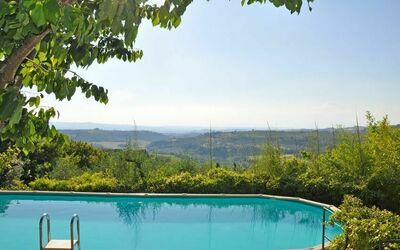 Outside, guests can enjoy use of a large terrace with panoramic views and of an above-ground swimming-pool set on a lower level and accessible going down 80 steps. 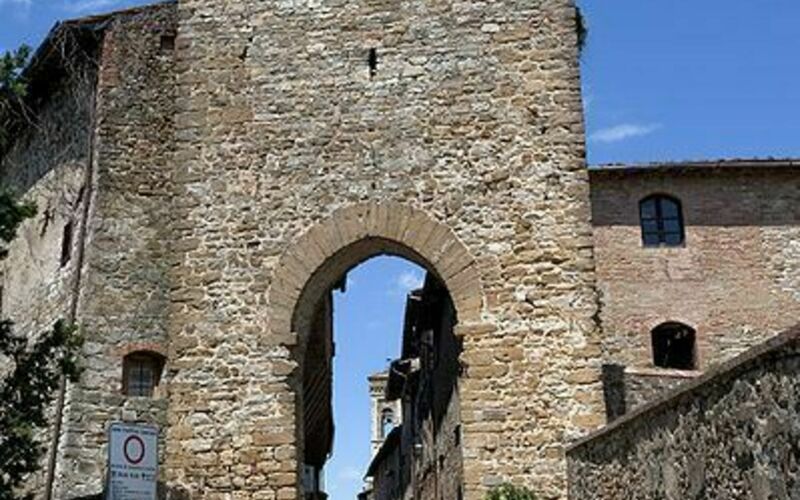 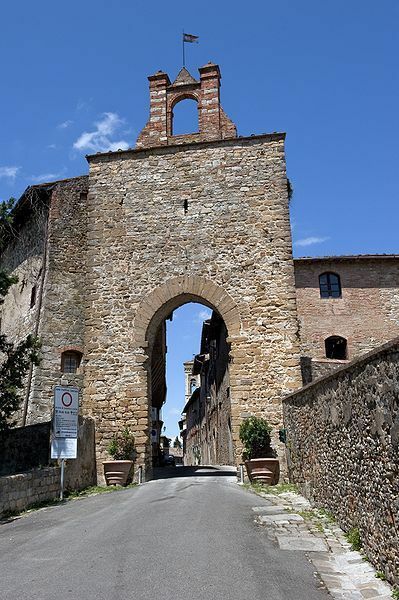 Distances: Barberino Val d’Elsa with general strores a few steps away, San Gimignano 25 km, Florence 30 km away, Siena 44 km, Volterra 45 km, the Chianti Classico region (Castellina, Greve, Gaiole ecc…) is within 15 – 35 km, Pisa and Lucca area approx.. 100 km away. 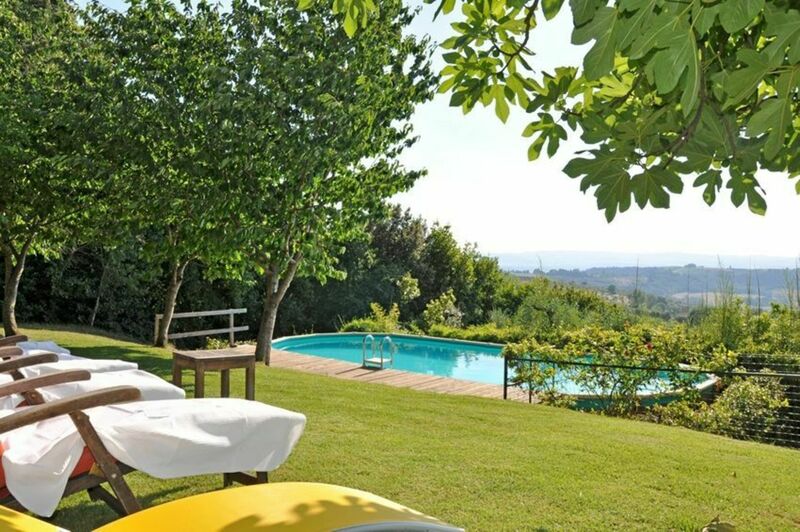 At guests’ disposal: large, panoramic, furnished terrace with pergola, internal courtyard furnished with sofas, above-ground, private swimming-pool (7 x 4 m – depth. 1,4 m – open from 01/05 through 30/09). 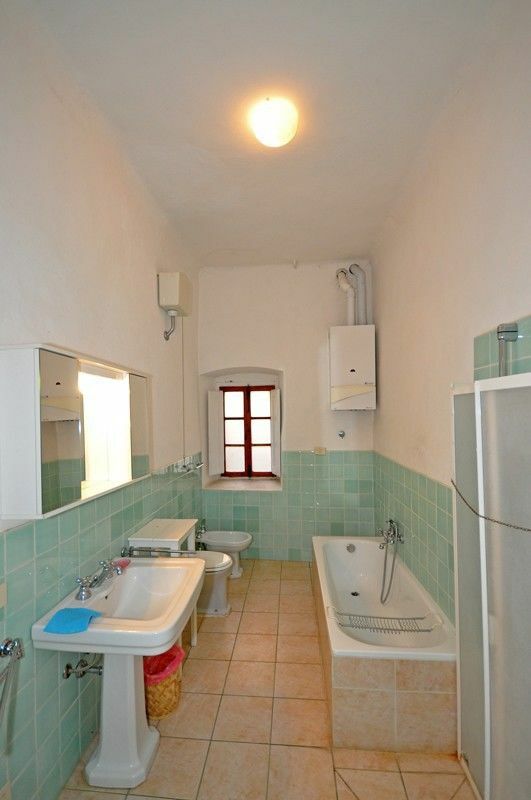 Mandatory cleaning service: 9 hours a week at € 15,- / per hour to be paid on the spot. 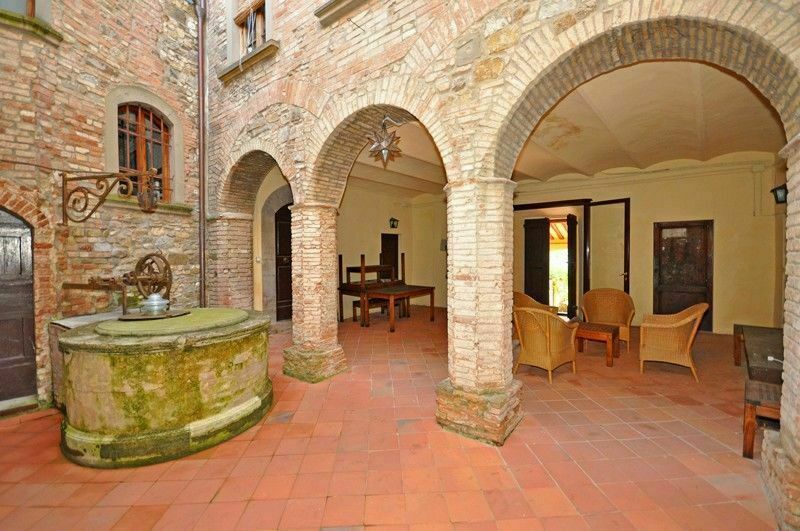 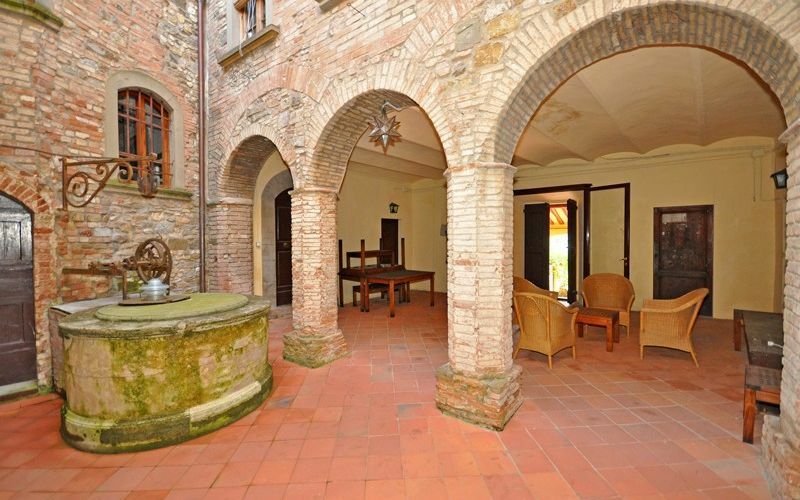 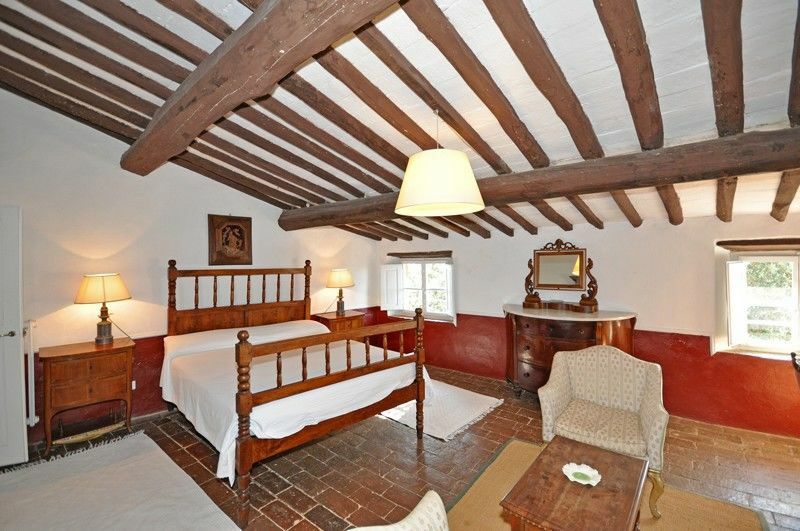 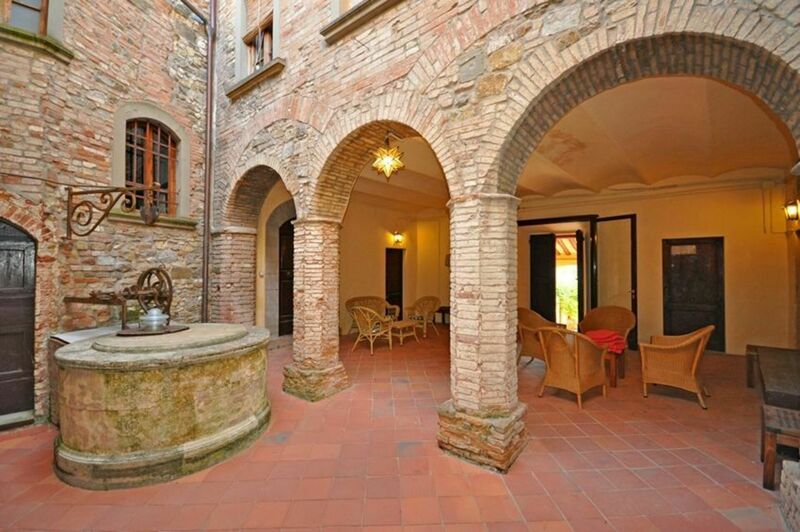 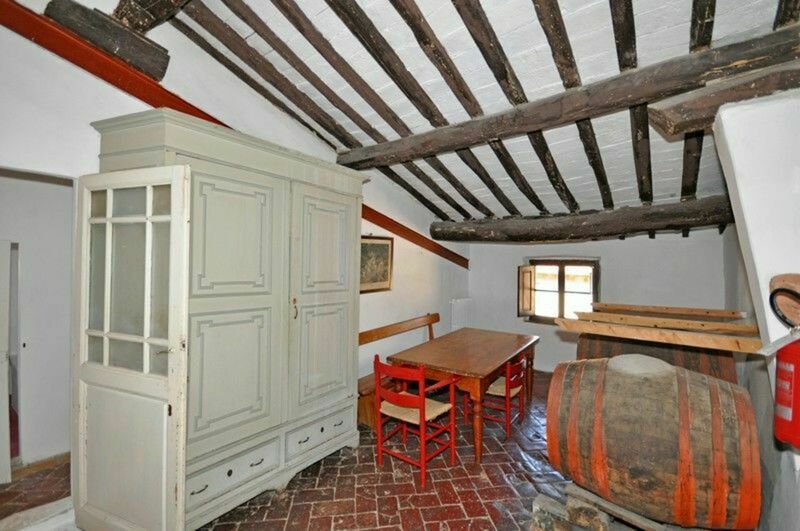 Ground floor: internal courtyard with ancient well and sofas and access on to a panoramic, furnished terrace. 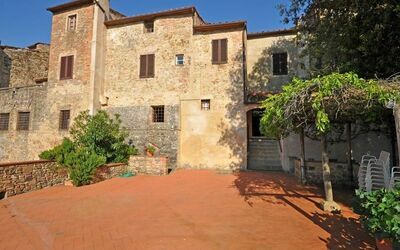 1st floor: large dining area, kitchen (oven, freezer, dishwasher, small electric oven, American coffee maker), bathroom with washing-machine, store-room, living-room with fireplace and access on to a terrace with table and chairs, toilet, double bedroom with ensuite bathroom with bathtub, twin-bedded room with ensuite bathroom with shower, bathroom with bathtub and hand shower. 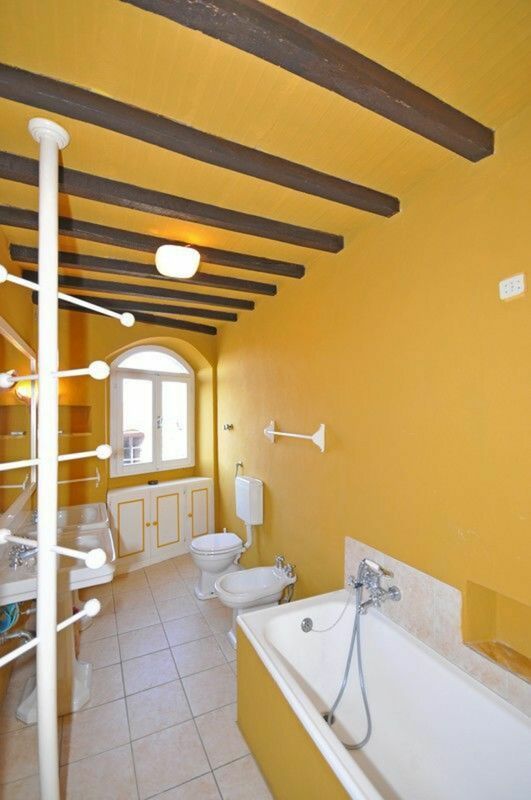 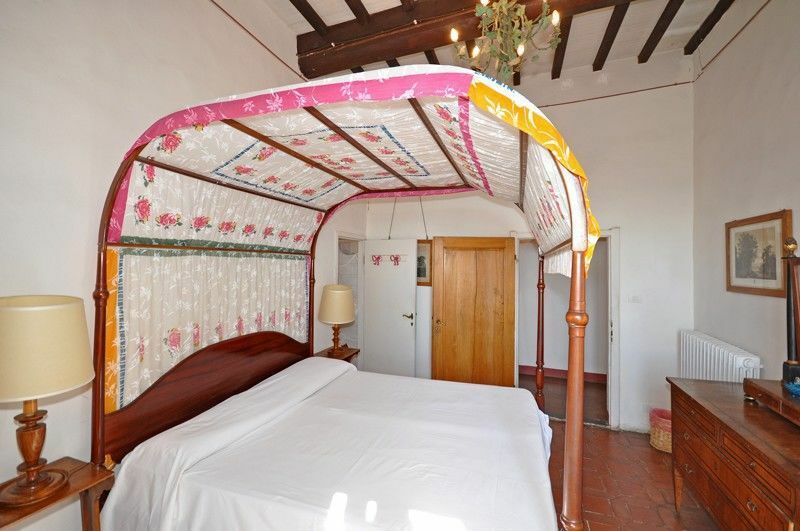 3 steps up: double bedroom, twin-bedded room with ensuite bathroom with bathtub and hand shower, large double bedroom, bathroom with bathtub and shower. 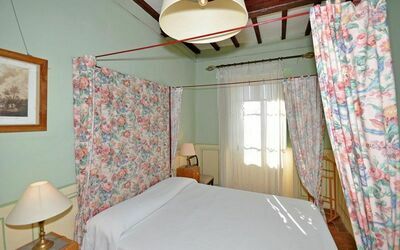 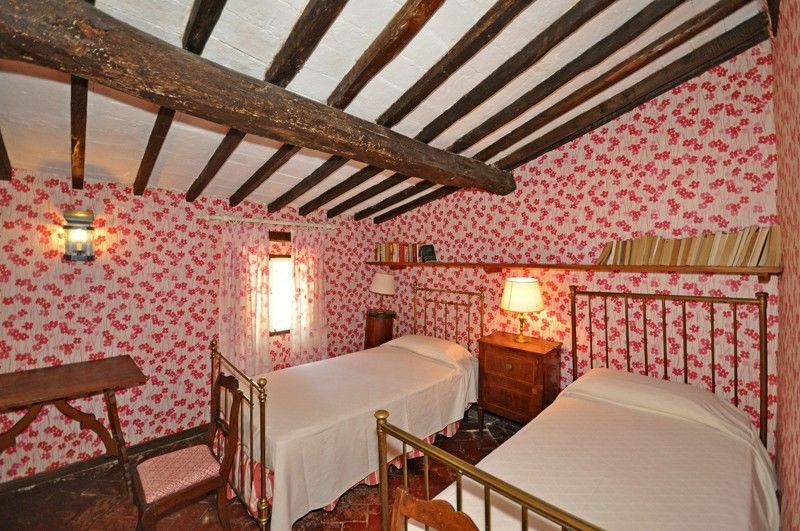 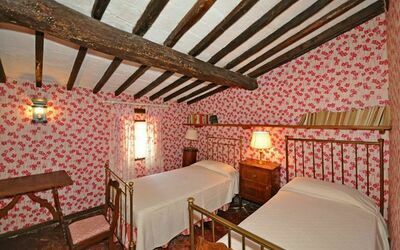 2nd floor: twin-bedded room, living-room with fireplace, twin-bedded room. 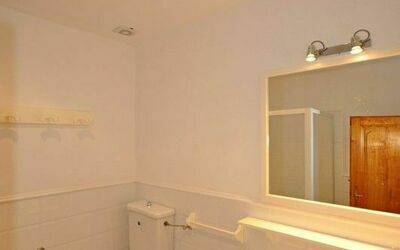 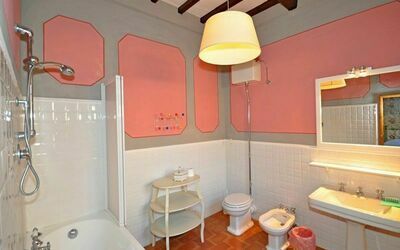 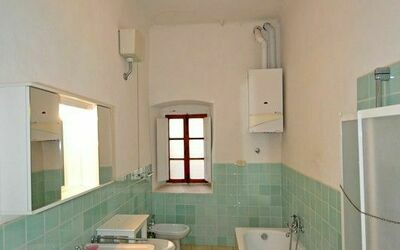 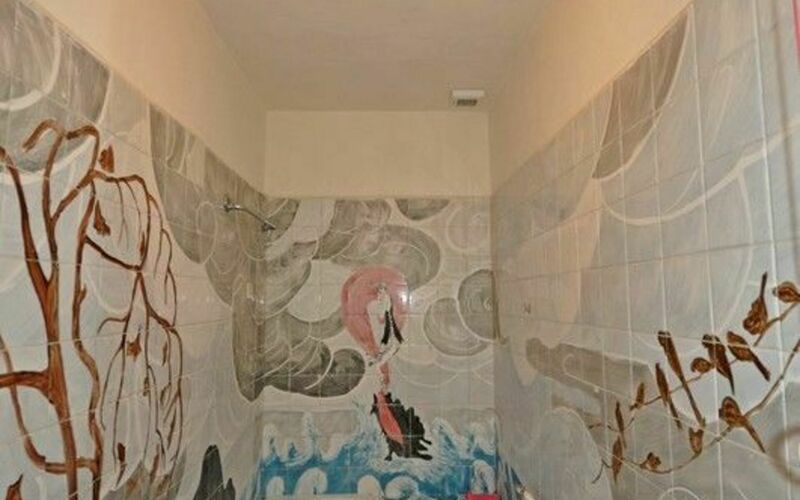 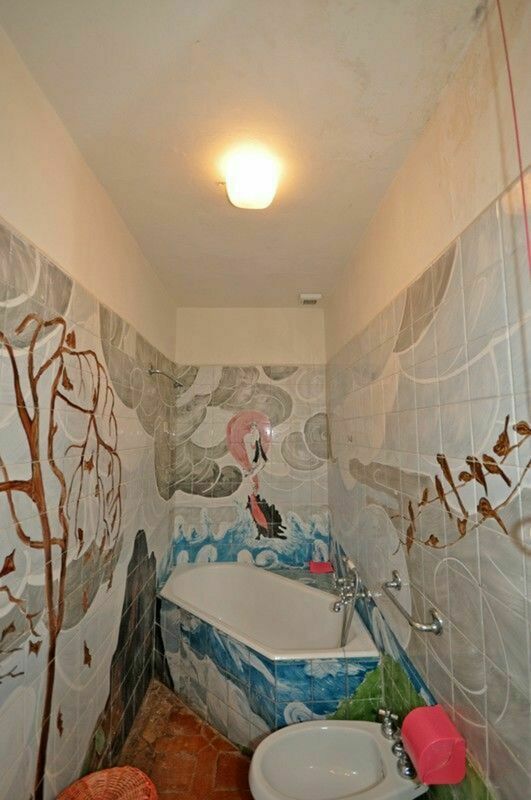 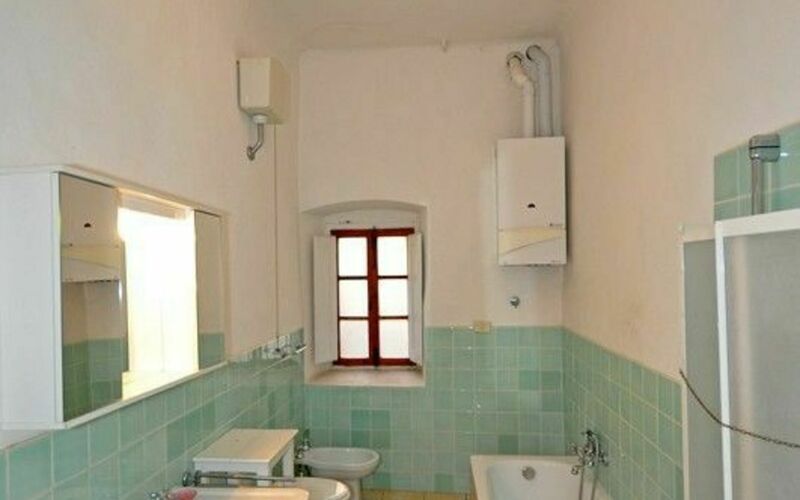 1 step up: double bedroom, 2 bathrooms with bathtub.